Wow didn’t lady win earlier? Lucky! Just finished Book 2. Onto book 3 now. 2 hours 16 minutes left to go! Finished so many, like 5 176 pages or so each – and dived into some amazing graphic novels, settling into The Girl With the Dragon Tattoo for the next several days, this has been a successful marathon – pretty sure I am not not near 24 hours but wondered, think in the future the 24 in 48 could have two options? 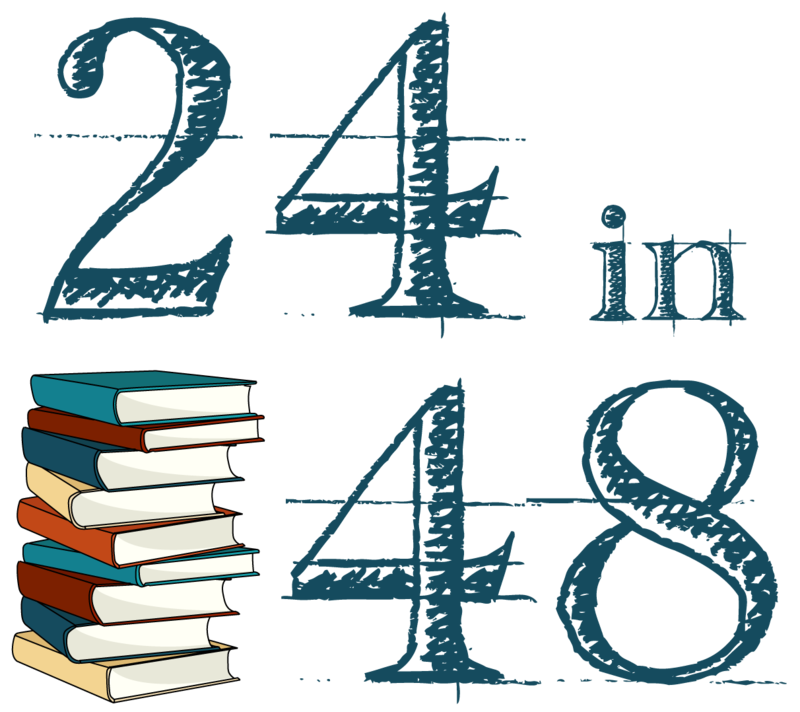 one category for 24 hours of reading, and one category that would be the # of books read that equal 24 hours of reading? For example, someone reading 10 books might be great but not equivalent to the sum of 24 hours based on length etc, so would have to be a certain number equivalent (was thinking of an oil change – mileage or length) LOL . Just contemplating that!